« Daily Deal from Target…. Sulfate free! Sulfates are harsh, synthetic salts that are used as cleaning agents in many of your beauty products. Sulfates can be harmful to the hair itself, stripping strands of their natural oils and leaving them prone to dryness, dullness, and breakage. They also cause major irritation to your scalp. One of the many reasons I am loving Briogeo shampoo cleanser is because it is sulfate free. It uses surfactants derived naturally from fatty & amino acids, vegetable & coconut oils, that cleanse the hair and produce major lather. The cleanser also has green tea antioxidants, bamboo & avocado, aloe, vitamins a & e, to give your hair shine and nourishment. 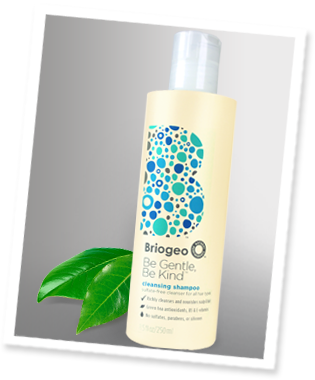 So be gentle on your hair with Briogeo and be hard on someone else….